Dear Love Who Should Have Been Forever Mine is the first artist’s book produced by French artist Marie Jacotey. 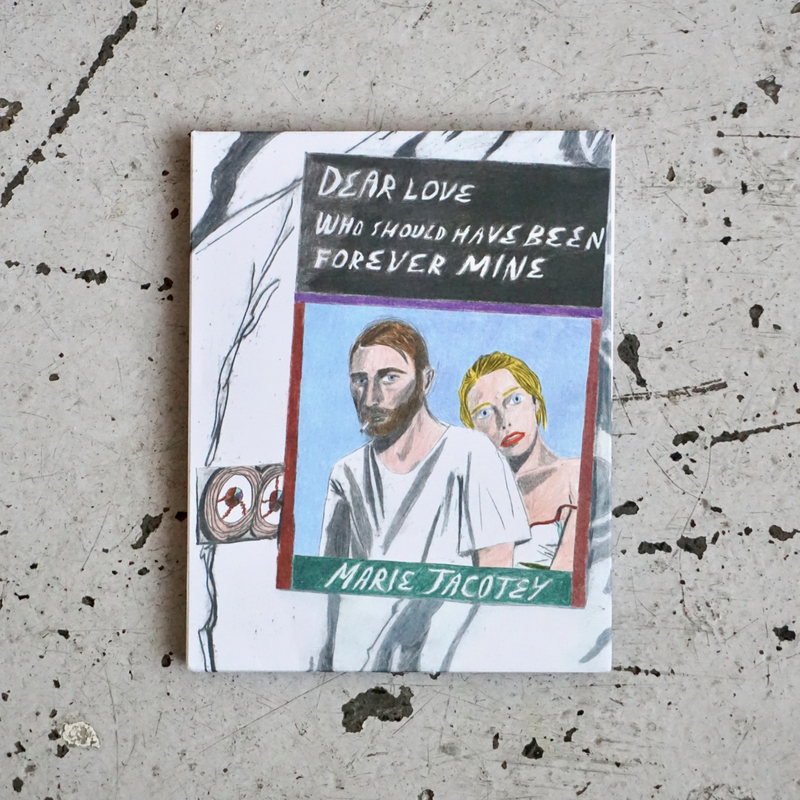 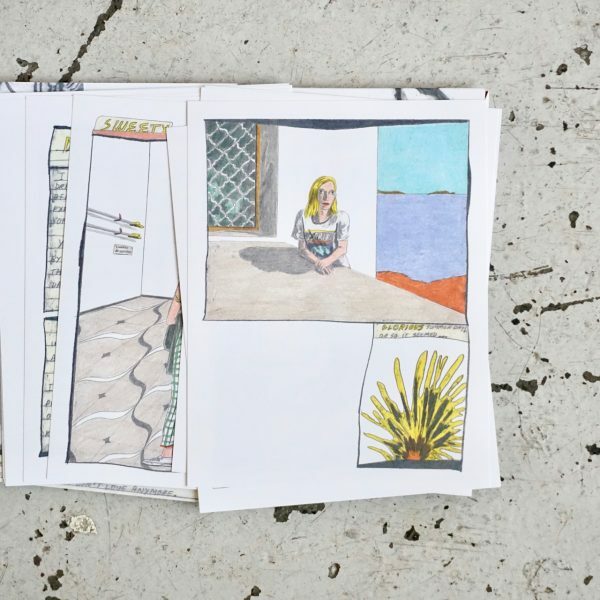 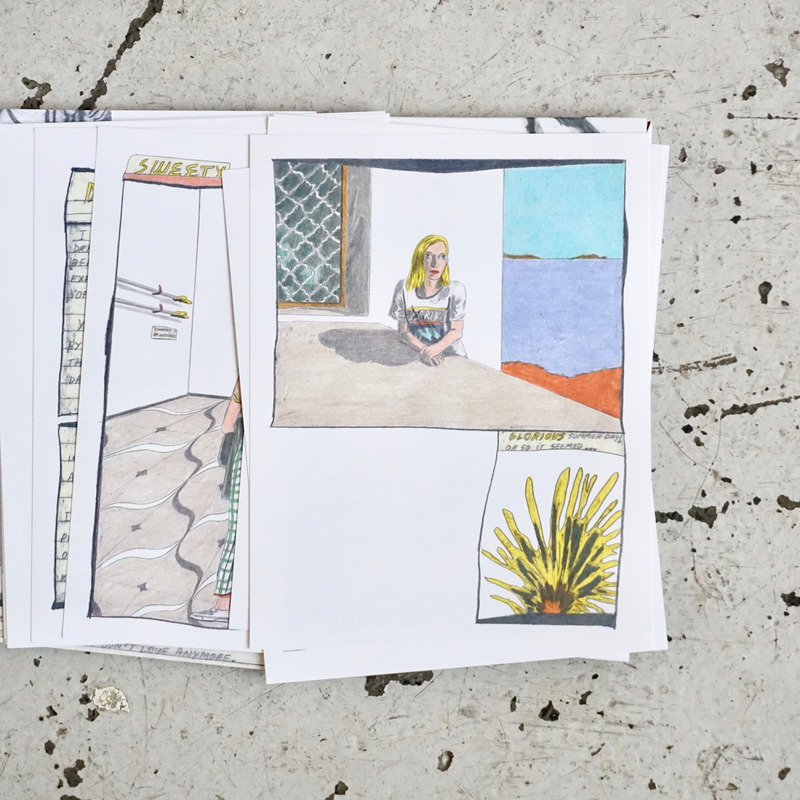 The book presents a collection of unique drawings and texts, slowly revealing the correspondence between two former lovers trying to piece together their story. 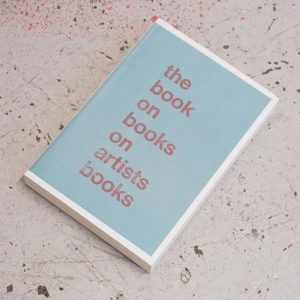 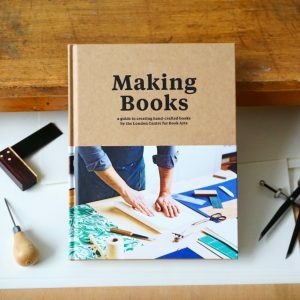 Jacotey has worked closely with design duo Stinsensequeeze to develop a unique binding, which allows the reader total freedom in how they approach the work. 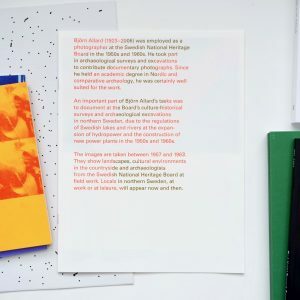 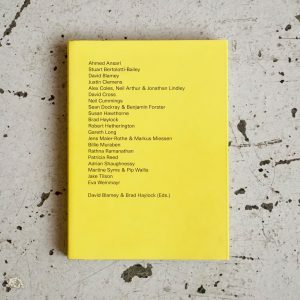 The book is made up of 30 individual artworks, loosely folded and gathered into two sections, each corresponding to the perspective of one of the protagonists. 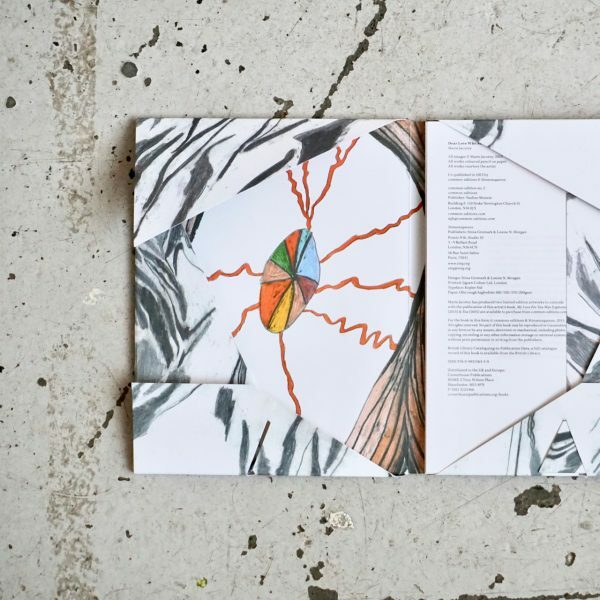 Part introspection, part emotional exchange, the visual correspondence can be read in multiple ways: in a series as part of a continuous narrative, individually as unique artworks, or even placed as a large-scale installation, to literally ‘map out’ this surprising love story.